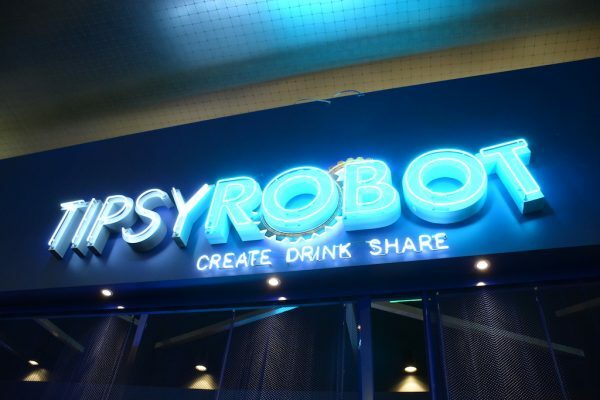 Tipsy Robot, the galaxy’s first land-based robotic bar, has announced its opening date of June 30 in the Miracle Mile Shops at Planet Hollywood Resort & Casino. Showcasing precision mixology combined with robotic innovation, Tipsy Robot is the bar of the future, set in present-day Las Vegas. Its unique robots, custom cocktails, state-of-the-art interior design and “Galactic Ambassadors” will create a one-of-a-kind destination attraction at the heart of the Strip. Tipsy Robot will reveal two cocktail-shaking robots that will interact with customers in a social, digital environment. The robots were designed in Italy by Makr Shakr, producers of the world’s first robotic bar system, and will allow customers to order and customize cocktails via the bar’s tablets. The robots mirror the actions of human bartenders, from mixing and pouring to the slicing of garnishes and the choice of shaken versus stirred. Each beverage takes 70-90 seconds from order to completion. 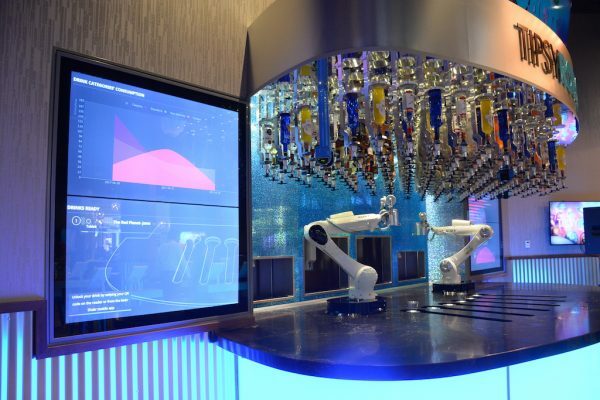 The humanized, formerly industrialized bartending robots will be set in a high-tech venue with plenty of thoughtful and approachable touches to the interior design, including metal mesh and corrugated steel. Customers can also watch otherworldly cosmic-inspired video streaming on the bar’s nine big screens. Robots, however, won’t be running the entire operation. 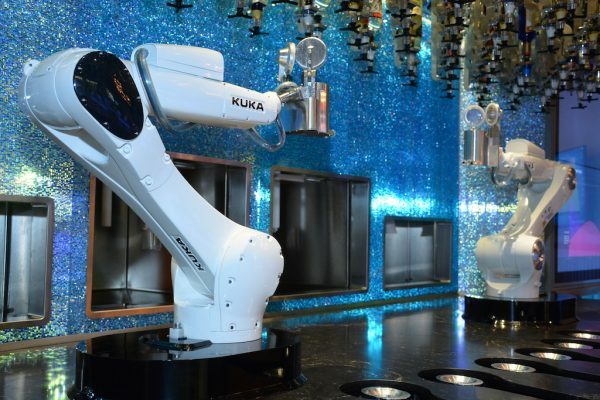 The “Galactic Ambassadors,” Tipsy Robot’s human staff, will complement the robot bartenders. 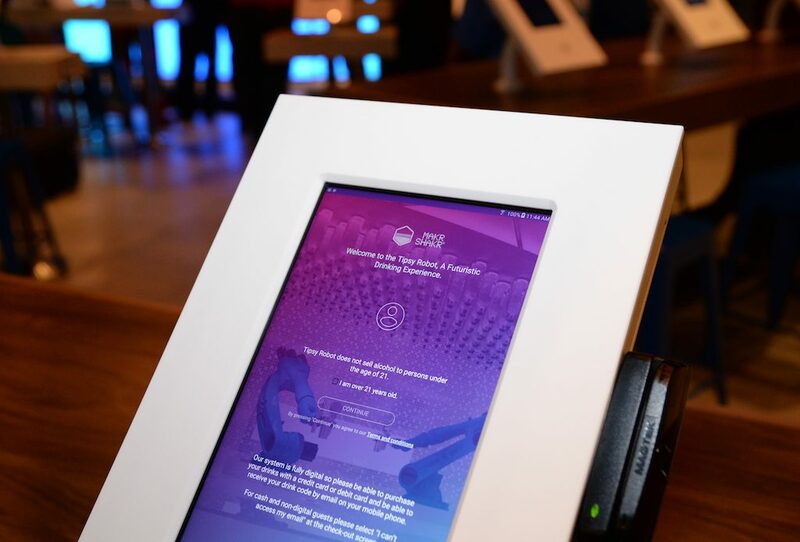 And for customers who’d like to share their out- of-this-world cocktail experience, there will be a live social media wall and photo booth.